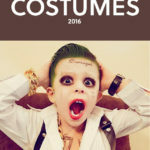 Some kids want to dress up as animals or princesses or their favorite tv character. Some want to stay true to the spirit of Halloween and be as scary and spooky as possible. 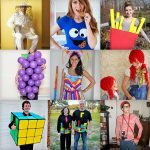 Here are some of the creepiest Halloween costumes for the kid who wants to be the fright of the block. Some doctors want to fix your brain. This doctor wants to eat your brain. 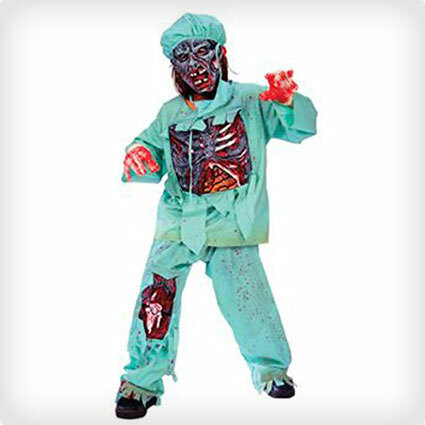 This gross and bloody costume comes with a gruesome zombie mask, and blood-splattered doctor scrubs hang open to reveal a gory, gaping chest. The swamp monster has come crawling out of the mucky marsh to haunt and shock this Halloween. 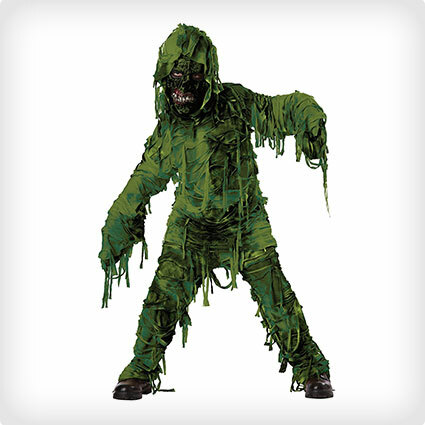 With its mossy green wrappings and menacing mask, the swamp monster is sure to spook everyone it encounters while out trick-or-treating. You’ll hope this creature returns to its swamp. When you lose your homework or your lucky pencil, you might have a bad day. But when you lose your head, it’s the worst day ever. 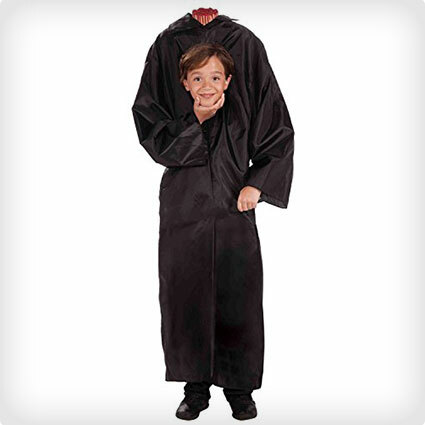 This costume creates a creepy illusion with a fake severed neck and a ghostly black cloak to hide inside. Caution: May cause nightmares. Prom is a magical night full of music, dancing, laughter, and fun. The dream becomes a nightmare with this zombie prom queen costume. 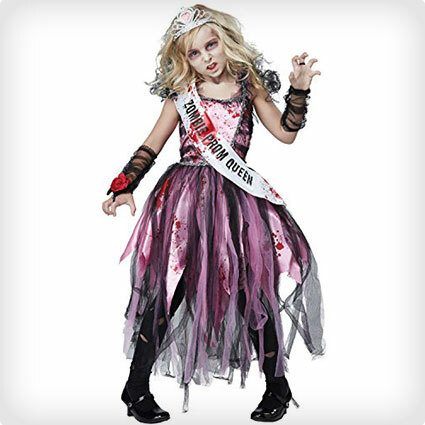 She’ll come after your brains while looking stylish in a tulle skirt and prom queen sash, both splattered with blood. Zombie prom queen crown included. You have to be extra careful when you see a full moon. When a full moon is out, so are the werewolves. 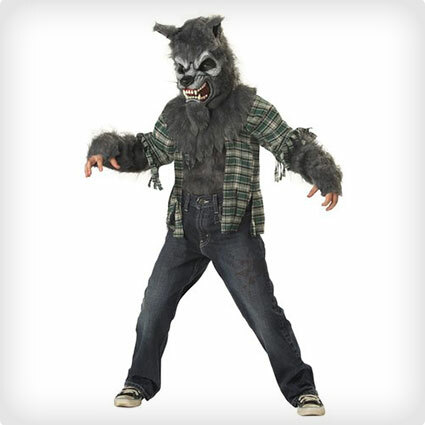 This costume comes with a sinister, snarling werewolf mask. The shirt is ripped and tattered, and the chest and arms are covered in gray and wolfish faux fur. We thought dinosaurs were extinct, but you can bring one back to life this Halloween. The dinosaur mask has scary sharp teeth guaranteed to make the neighbors jump. 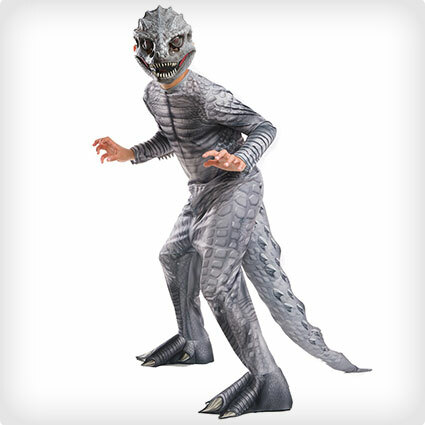 There is even a long dinosaur tail on this scaly gray costume. Makes for the perfect creepy predator. 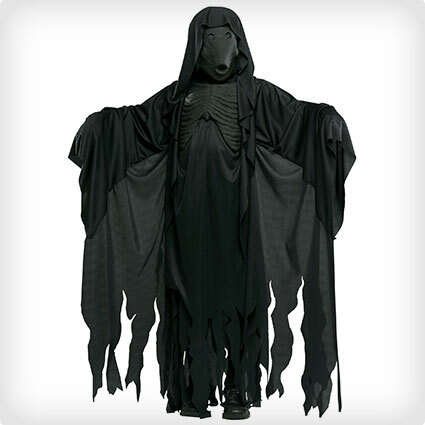 This cool crow costume is handmade, comfortable, soft, and spooky. It features a pointy crow beak cap and fluttery crow wing sleeves. 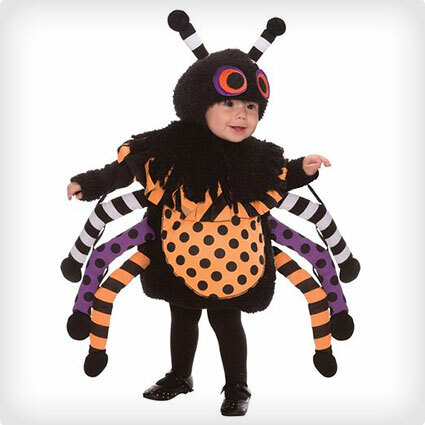 It is a fun and creepy costume for a little one. It’s sure to fit the mood this Halloween. Even the littlest members of the family can join in the devilish fun this Halloween. This sinister red outfit is as cute as it is frightening with its pointed devil horns, scary devil tail, and spooky devil wings. Any kid can enjoy some devious fun in this costume. Legend has it that the Headless Horseman haunts Sleepy Hollow, galloping through and terrifying innocent village folks. 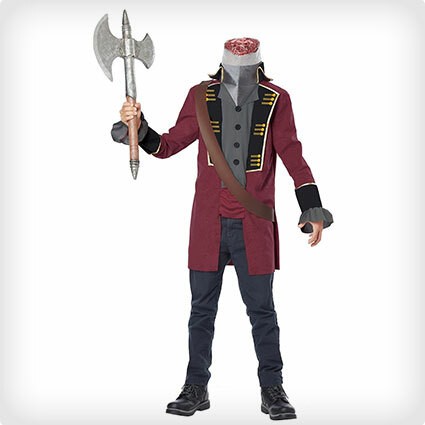 Terrify the neighborhood this Halloween with this Headless Horseman costume. There is a gross, fake severed neck illusion and a mesh collar to see through. 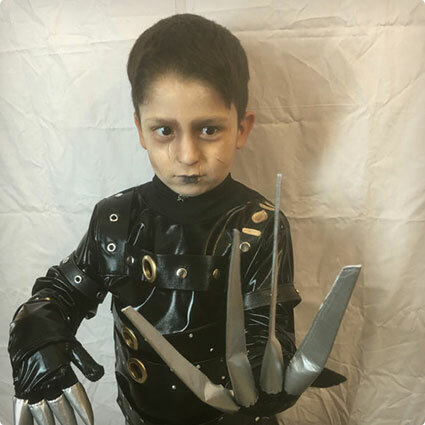 Edward Scissorhands is a classic creepy character perfect for a kids costume this Halloween. This costume is handmade and is very similar to the outfit worn by the classic Johnny Depp character. It’s perfect for a film fan or anyone wanting a creepy look on Halloween. Not all girls are into makeup, jewelry, and pretty dresses. 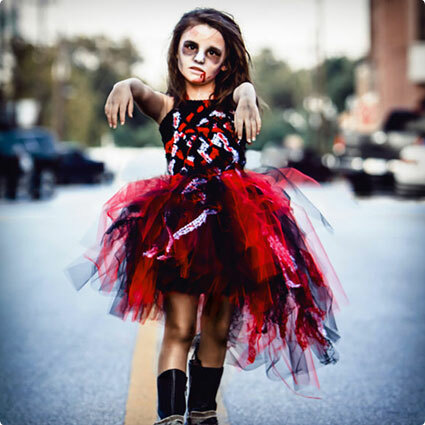 This Halloween, the scariest girls will dress as undead zombies seeking brains to eat. This zombie girl costume includes a raggedy, tattered dress and a midsection exposing fake bloody guts. 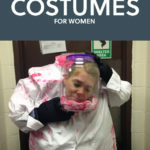 It’s a gross, creepy costume perfect for girls who love scary stuff. Halloween is the only time of year when creepy, crawly bugs are celebrated. Silky cobwebs and spiders are perfect for setting the mood, and your cute little ones can join the spooky fun too. 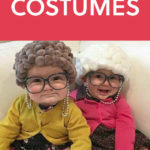 This baby costume is equal parts scary and adorable, and it’s perfect for the tiny members of the family. This phantom costume is as mysterious as it is sinister. 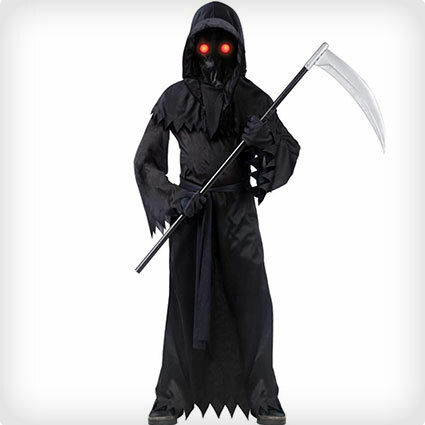 Its glowing red eyes set in a black mask are perfect for hiding in the bushes or in any other dark hiding spot, and black cloak is great for creeping around in the dark this Halloween. This girl zombie costume is a fun and colorful version of a classic zombie look. It has a red and black tulle skirt, burlap and ribbon details, and red paint to create a gross dripping blood illusion. It’s rare for a costume to be so fun and scary at the same time. Here is a totally creepy take on a classic Halloween costume. 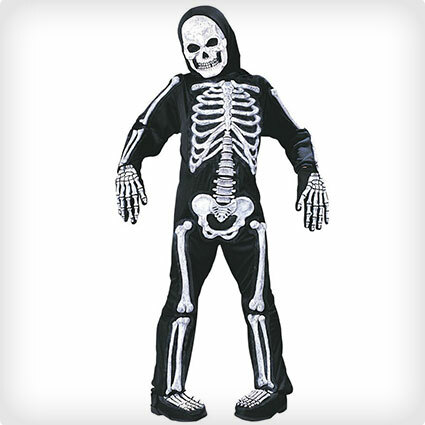 It’s a simple skeleton outfit with a scary skeleton mask. 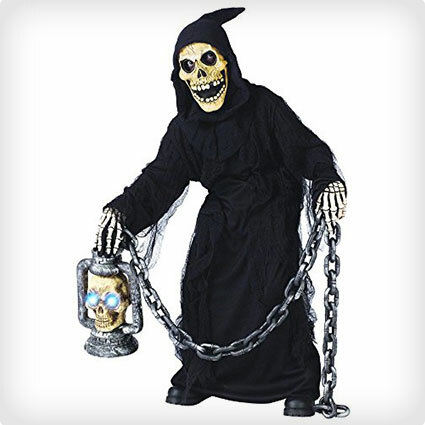 No bones about it, this costume is a timeless classic, and it has an agelessly spooky appeal. If you want to have a good time in school, you have to try to make friends, behave yourself, and always study for tests. It’s not a good idea to add eating brains to this list! 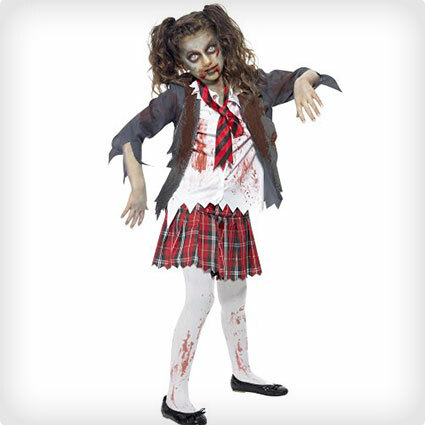 This bloody and tattered zombie school girl costume is gross and terrifying. It’s perfect for girls who are good at school but not too good. 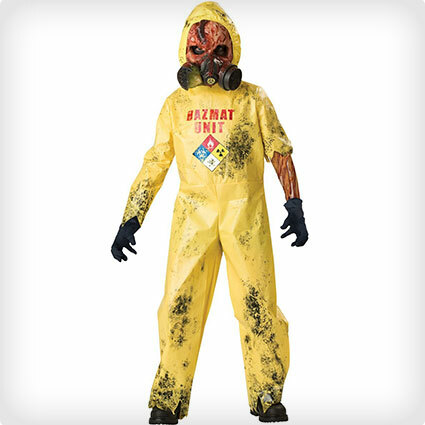 This spooky costume combines two awesome scary things into one great outfit. 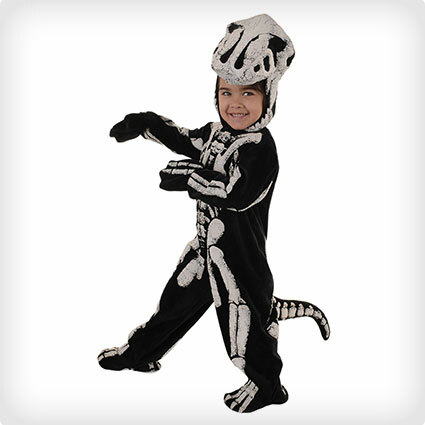 It’s a scary skeleton of a tyrannosaurus rex, perfect for kids who love dinosaurs and want to get into the Halloween spirit with a fun twist on a skeleton costume. It’s a great take on a classic. When you feel a ghostly chill in the air and the hairs on the back of your neck stand up, it might be because a ghostly girl is floating nearby. 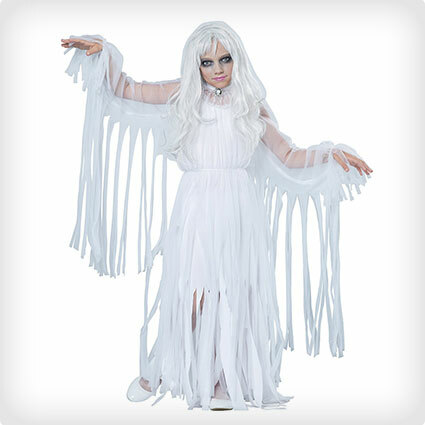 This ghoulish ghost dress features white, flowing fabric and fringed sleeves. It’s a spooky and fun girly ghost outfit. The creepiest creature to represent Halloween has to be the bat. This bat costume is handmade and looks very cool. 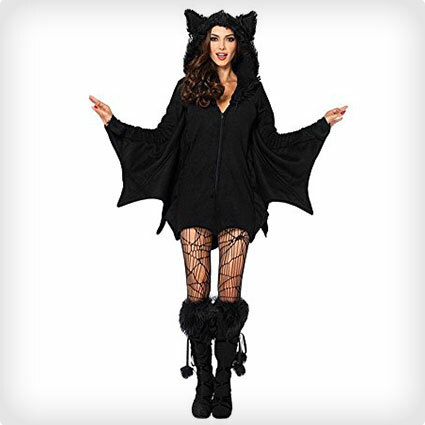 It’s a smooth satin cape with elastic to hold onto so you can spread your arm and look just like a bat. It’s hard to say if this convict was sent to jail for eating people’s brains, or if the zombie transformation happened while serving his sentence. 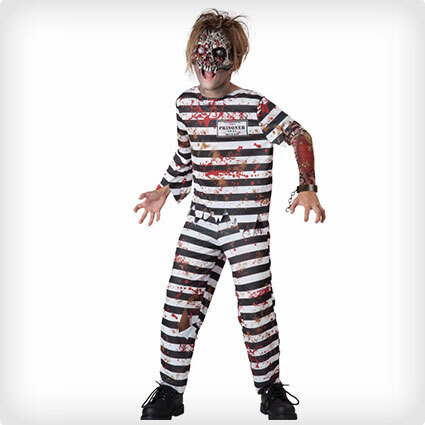 In any case, this gruesome and thrilling zombie costume is sure to shock and horrify everyone this Halloween with its scary zombie mask and striped, blood splattered outfit. For most of history, farmers have used scarecrows in their field to keep the birds off of their crops. 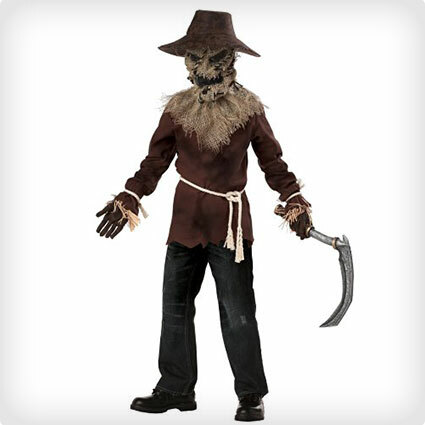 This scarecrow costume will scare more than just the birds. There is a horribly creepy face on the burlap mask, sure to scare anyone away. Warning: Biohazard spill. May contain chemicals unsafe for human contact. 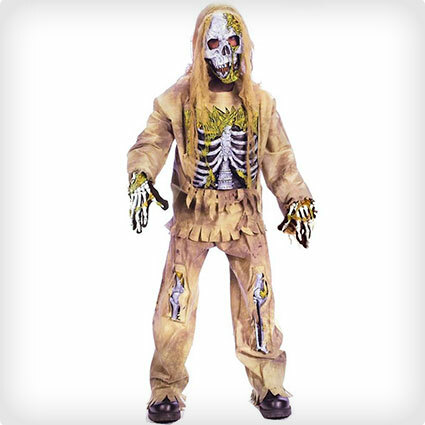 This creepy zombie outfit is a unique twist on the typical zombie costume. You can imagine what sort of biological accident happened to cause the awful, gruesome face and gross exposed fake flesh sleeve. Be careful. This costume could ruin pleasant childhood memories. It is a clever combination of a beloved childhood character and a spooky, creepy zombie. 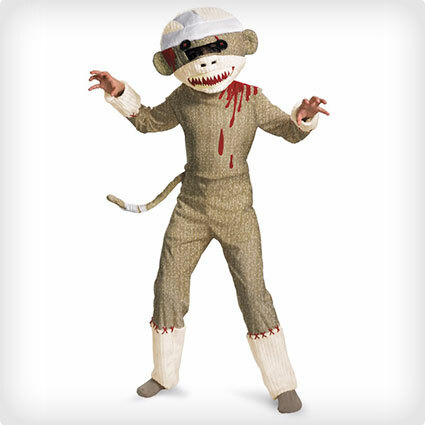 The outfit has a classic sock monkey look with the added features of fake blood splatters and a scary, toothy smile. No normal royal family would want this evil jester performing in their court. This is one dark clown sure to have many tricks, and that’s no joke! 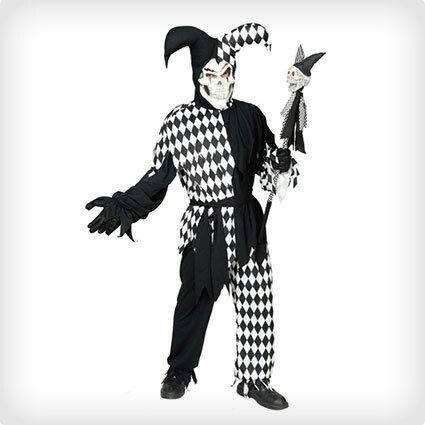 Features tattered and shredded black and white jester costume, patterned jester hat, and creepy grinning clown face mask. Here is another clown who isn’t messing around. This killer clown is up to some funny business that might not be so funny after all. With a jagged and blood-splattered collar and terrifying clown mask, this is one character you don’t want to meet in the dark this Halloween. This handmade wolf costume as a ton of charm and whimsy, but it’s a little scary as well. 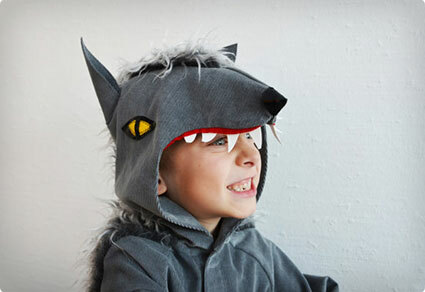 The soft gray wolf hood has sharp teeth and angry yellow eyes. Faux fur is added along the neck and shoulders, and sharp claws are at the ends of the sleeves. 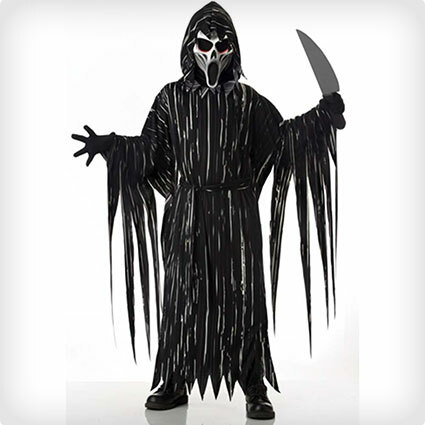 This costume is simple and sleek at first look, but it’s sinister and spooky for sure. It’s a black body jumpsuit with creepy long fingers for reaching and grabbing at things in the dark of night. It includes glowing red eyes that add an extra scary element. 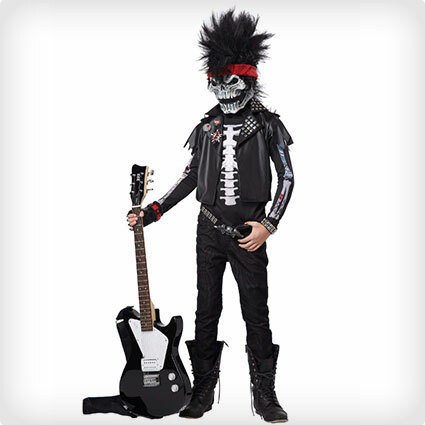 Whether this rocker is dead or undead, he’s sure to play rock n’ roll until he goes to his grave or returns to it. Whatever the case may be, this horrifying skeleton mask has an awesome spikey rock hairstyle. It goes great with the dark skeletal t-shirt and studded vest. Your face will be frozen with fright if you encounter this Howling Horror on Halloween. The dark, scary mask is fixed in a terrifying screaming expression, and the long tattered cloak will hide its wearer in the dark of the night. You’ll let out a scream if you see this fiend. Pretty and colorful autumn leaves, crisp fall air, and round orange pumpkins are all lovely signs that fall is here. This is one pumpkin you don’t want on your porch. This pumpkin head is big and orange and evil with a jagged, scary smile. 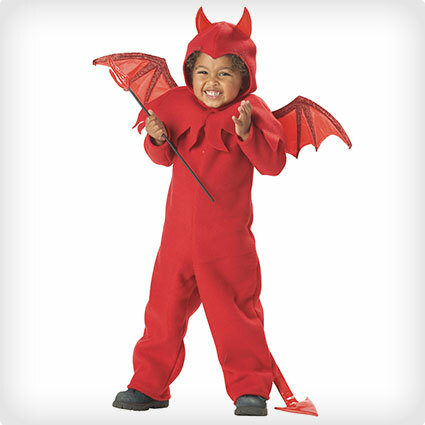 This handmade devil girl costume adds some pizzazz to the traditional Halloween devil look. It comes with a dress, corset, gloves, and horns, but the best feature is the stunning gray and red collar. It is made with quality fabric, and is sure to be a hit this Halloween. This is a zombie who has been around the blog a few times. Most of its rotting flesh is gone, exposing white and creepy bones underneath. Bones show on the hands, chest, and legs, but they show most of all on the scary skull mask. 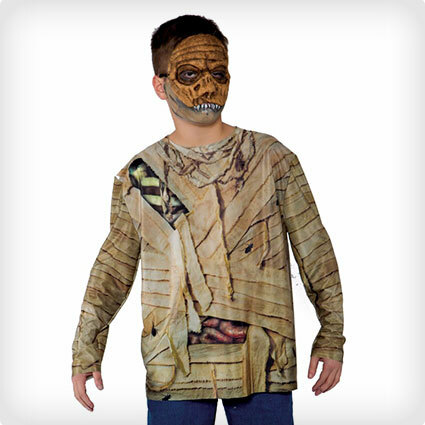 All mummy costumes should come with a twist like this one. It is a simple shirt printed with dirty and ripped wrappings along with exposed intestines. Add the look of the mummified mask, and you’ve got one spooky mummy. This clown doesn’t want you to have a good time. The costume features black and white stripes and black tattered edges. The mask is the most terrifying part. It has a huge scary smile, clown makeup, wild orange hair, and it even glows in the dark. It would seem that the undead know no mercy. No man, woman, or child is spared when it comes to their quest for brains and flesh. This tattered and raggedy dress is perfect for a poor little zombie girl. Includes dress and dark waist tie. 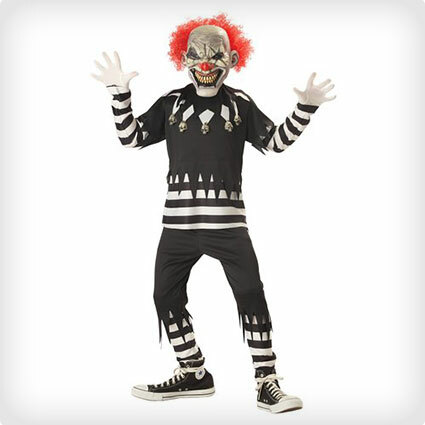 This Halloween, dress up as one of the scariest and most iconic horror movie characters in history. This Chucky costume is very accurate to the film, and it’s perfect for real fans. 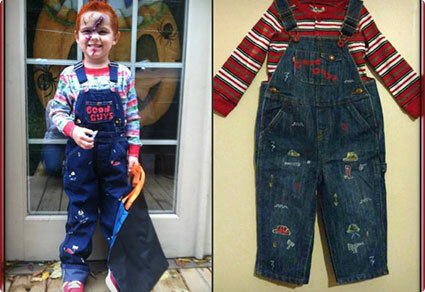 Includes striped long sleeve shirt and denim overalls decorated with Good Guys text. 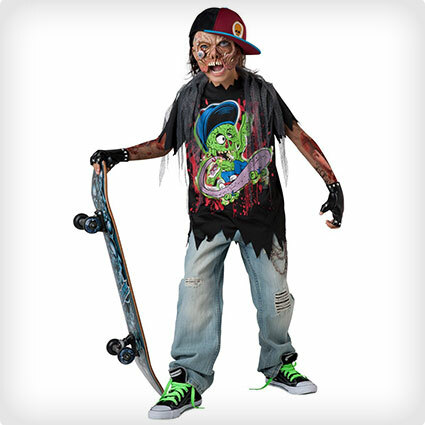 This terrifying zombie costume is clever and fun, but it’s sure to be the fright of the skate park! If you want a variation on a traditional zombie look, this is it. 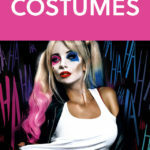 This costume features fake tattoo sleeves, a tattered zombie t-shirt, and a disgusting zombie mask. There’s even a fake eyeball hanging out. 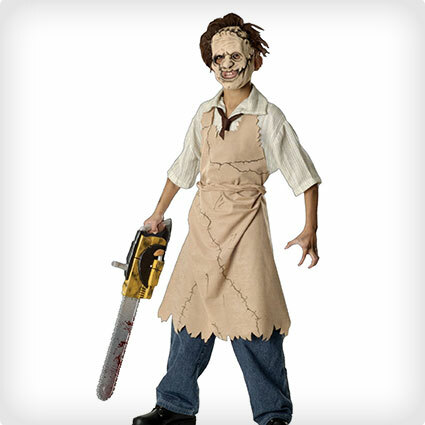 With this costume, kids can portray a classic horror villain from the Texas Chainsaw Massacre. It’s perfect for young ones who are fans of scary movies. This comes with the sinister mask and outfit of white shirt, brown tie, and apron with ripped edges. If being creepy and stylish is your goal this Halloween, you need this Midnight Vampire costume. 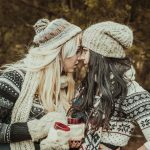 It’s perfect for a girl who really wants to sink her teeth into an awesome Halloween outfit. 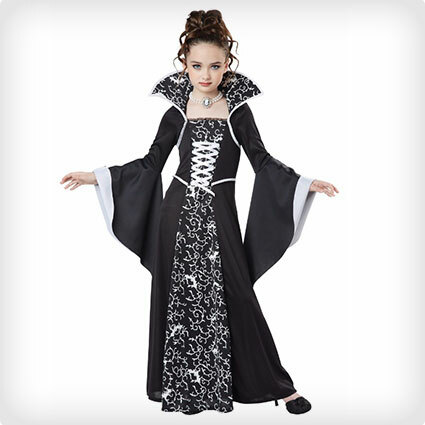 The high collar is a classic vampire costume feature, and the patterned fabric is an elegant and classy touch. 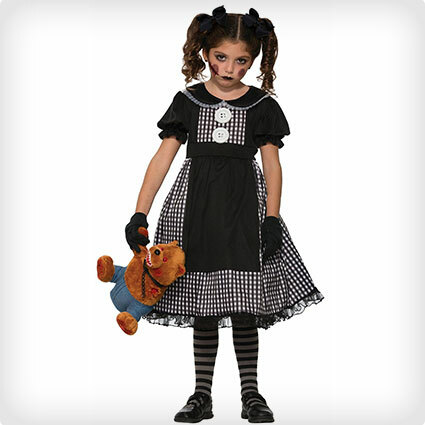 This cute and creepy costume is perfect for a girl who wants to be look scary and fun at the same time. It features a red top and a red skirt with tail attached, and no devilish girl would be complete without a pair of devilish red horns on top of her head. 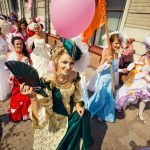 If you can’t decide between ghoulish and girly, this costume is an absolutely perfect compromise. 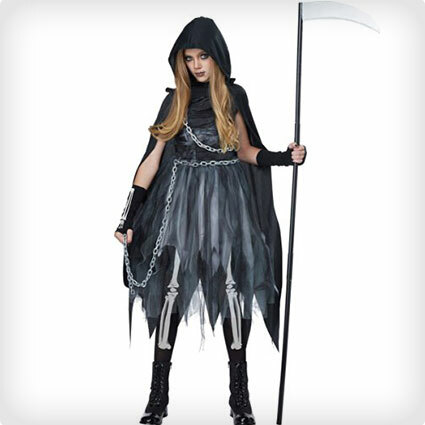 The grim reaper visits people as they die, and this grim girl is up for the task. A tattered black and gray dress, dark hooded cloak, and a chain around the waist complete the look. A skull biker is about as mean as they come. 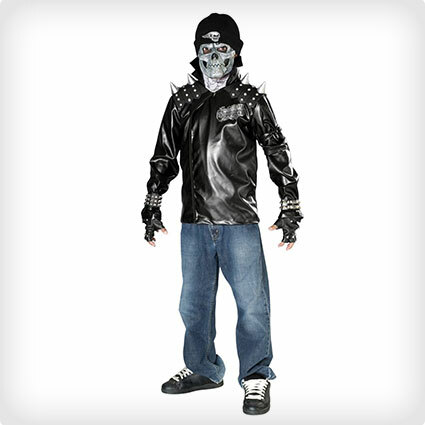 This biker costume has a mask that is skeletal and sinister. A black biker jacket adds to the effect with dark material and large studs and spikes. Here is a biker on the highway to hell. No one can be certain if this ghoul is guarding graves or if it came from the grave. 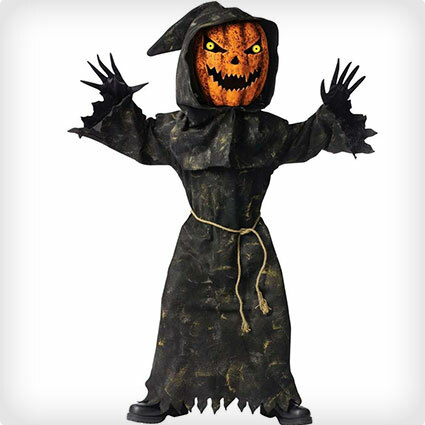 In any case, this costume is a haunting and creepy black robe and hood. The mask frightens with wide, sunken eyes and huge grinning mouth. Nothing is scarier than a kid with a bad attitude. 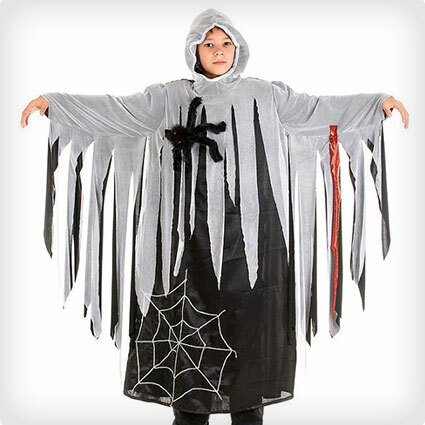 Any girl can get into the Halloween spirit and add a bit of sass with this Bad Spirit costume. Striped socks and a sleeve compliment the skirt and top. A glittery skull is the best feature of this wicked outfit. Kids who participate in sports and activities learn valuable skills, but not this killer athlete. This horrifying hockey player is ready to skate right off the rink and cause some mayhem. 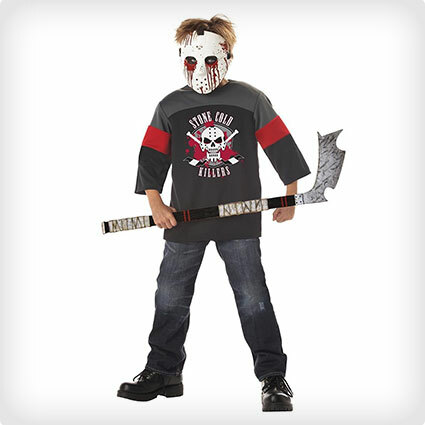 This costume includes a hockey jersey, hockey stick, and a scary, bloody hockey mask. Not all dolls are sweet and pretty and pink. This doll certainly isn’t. This is a traditional ragdoll style dress with a dark and spooky twist. It has traditional dress details turned dark by a black and white theme. 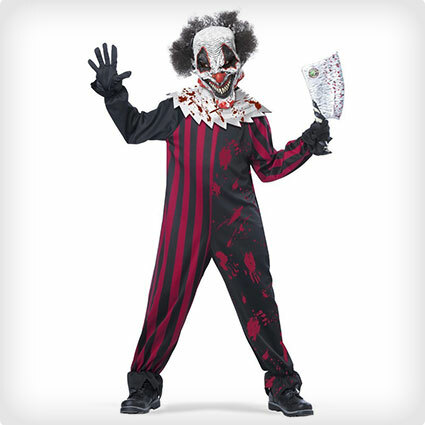 This costume is a fantastic dark and girl twist on a famous and classic creepy character. It has many awesome features, all in the style of the movie character, Edward Scissorhands. Most important are the scissor gloves that complete the look in a perfect way. Here is a fabulous and famous scary character perfect for Halloween. 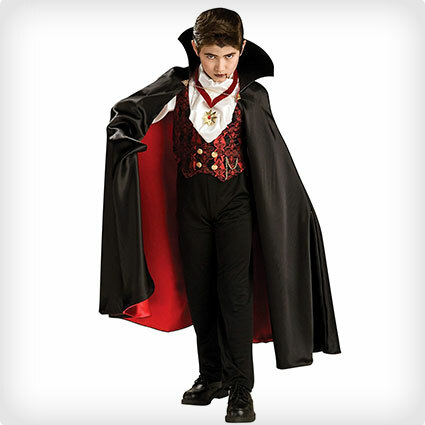 This vampire costume is classic and iconic, and it has a lot of style too. It features a high collared cape with red fabric lining, a medallion, a vest, a shirt, and pants. It’s the perfect complete vampire outfit – scary and elegant. The fairytale becomes a horrifying nightmare with this dark twist on a fun childhood story. 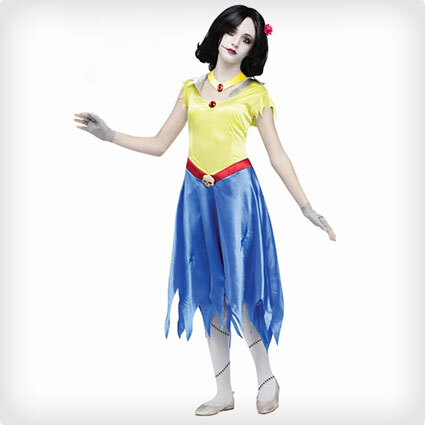 This is strikingly similar to a classic Snow White costume, but it has some added zombie features such as tattered sleeves, ripped skirt, and a skull on the belt. When there are screams and shouts coming from the back of a dark laboratory, it’s probably good to check to see if everyone is alright. A mad scientist may be inclined to experiment on people. 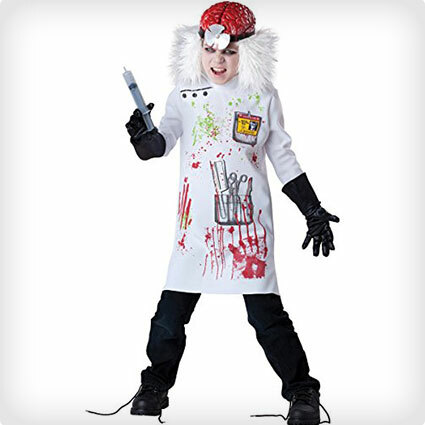 This mad scientist costume has a cool fake brain hat with hair and a creepy blood-splattered lab coat. 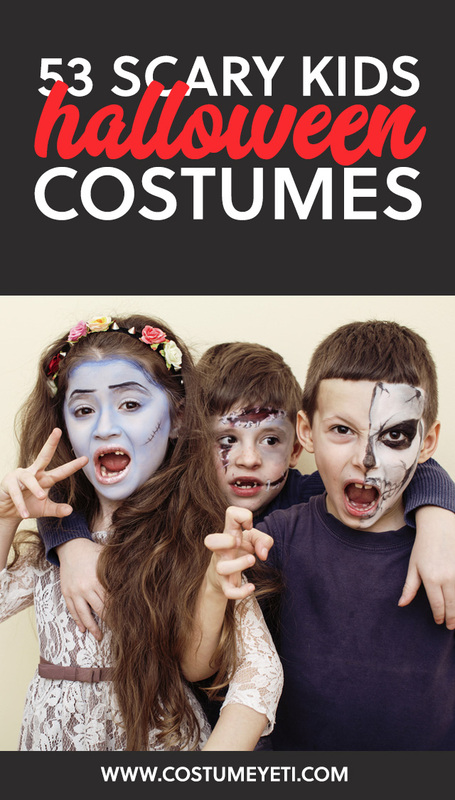 Here’s a chance to dress up as a classic Halloween creature and look as creepy as ever. 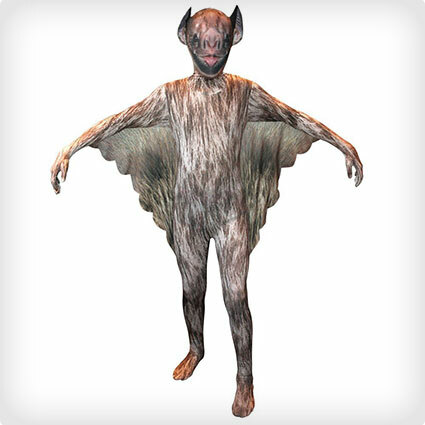 This costume is an extremely realistic vampire bat outfit. It is a skin tight jumpsuit patterned with the actual coloring of a real vampire bat. This creepy ghost costume is handmade, and it’s striking and spooky. It has a white hood and flowing white tatters that add to the ghostly effect for gliding through the neighborhood. Bonuses include a stitched spider web and spider that add to the mood on a dark Halloween night. 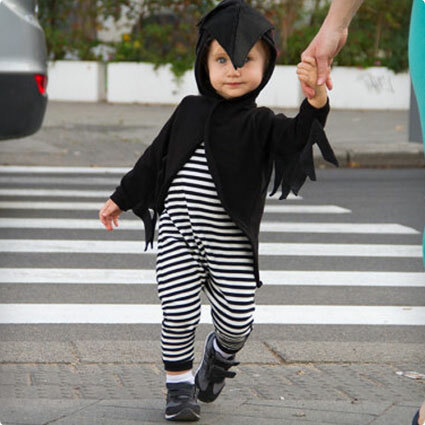 Make a super simple homemade costume for one of your spooky little ones this Halloween. 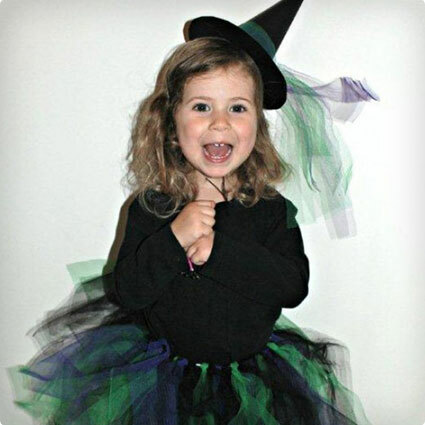 This witch costume is easy and includes instructions for a classic pointy black witch hat and a green and purple tulle skirt. It is thrifty and spooky and cute. 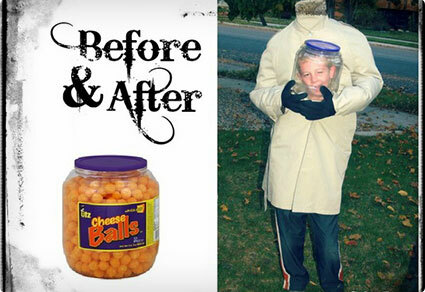 This is an easy and fun tutorial for a creepy and clever Halloween costume. It’s easy for anyone to do a homemade take on the classic headless character. These instructions include materials many people will already have around the house, and things that can be found at thrift stores. 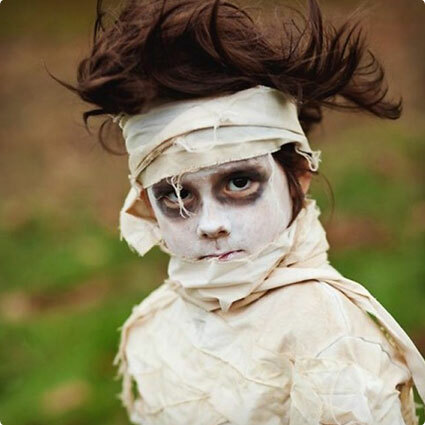 A mummy costume is one of the most classic homemade Halloween costumes ever. It’s no wonder it’s so common because it’s so easy and inexpensive. All you need is something to look like mummy wrappings. Literally anyone can do this easy and fun Halloween DIY costume. 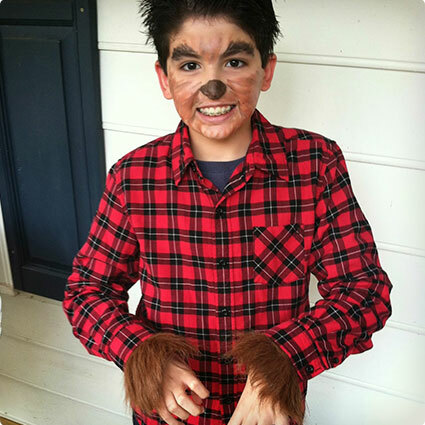 The only things needed for this easy werewolf costume are a plaid shirt, faux fur, and face paint. With these simple items, you can transform any child into a teen wolf. Listen for the howls and look for the full moon this Halloween, and there are sure to be some wolves out on the prowl.